Our friendly team offers flexible appointments to keep you healthy and on the go! 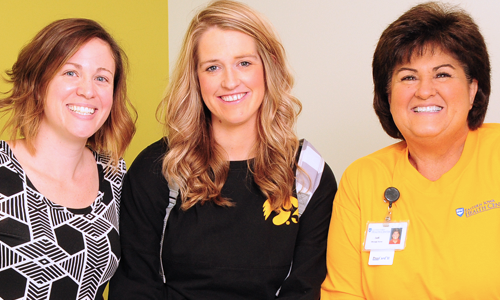 Our team includes dedicated pediatric care specialists. We are here to answer your questions to make sure your child receives the best care possible. Our newly renovated and expanded health center is designed with you in mind. We are excited to welcome you to your home for all of your healthcare needs. Our family medicine team is dedicated to keeping you and your family healthy. We have the knowledge, education and experience needed to care for your family. Our patient-focused approach to care, including extended hours means we are here for you when you need us. Same-day appointments available for urgent health needs.